Here are the Champions League lineups for the most important upcoming matches in the UCL group stage 2018/19. 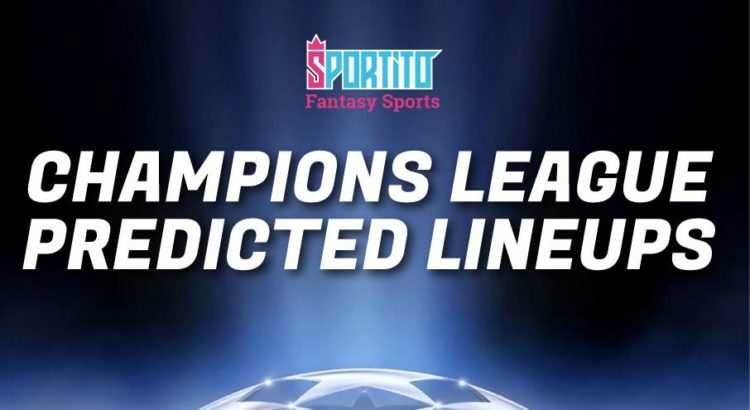 These UCL predicted lineups will help you create the best fantasy team for your Fantasy Champions League team on Sportito. Manchester United (4-3-1-2): De Gea; Dalot, Lindelof, Smalling, Young; Pogba, Fred, McTominay; Lingard; Rashford, Lukaku. Manchester City (4-3-3): Ederson; Walker, Otamendi, Laporte, Mendy; De Buyne, Gundogan, Silva; Bernardo, Aguero, Sterling. Tottenham (4-2-3-1): Lloris; Trippier, Vertonghen, Alderweireld, Rose; Winks, Sissoko; Eriksen, Dele Alli, Son; Lucas. Porto (4-3-3): Casillas; Telles, Militao, Pepe, Pereira, Torres, D. Pereira, Corona, Brahimi, Marega, Soares. Liverpool (4-3-3): Alisson; Alexander-Arnold, Lovren, Van Dijk, Robertson, Henderson, Fabinho, Keita, Salah, Firmino, Manè.